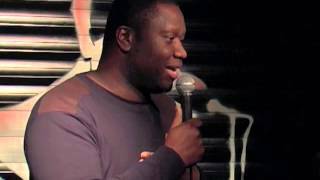 Funmbi was named best newcomer at the Black Entertainment Comedy Awards in 2004. But it took until 2012 to make an impression on the mainstream circuit, when he won the Leicester Square Comedian Of The Year 2012 and Amused Moose Laugh-Off award. He was a finalist in the Brighton Comedy Festival Squawker award and the Laughing Horse new act competition the same year. We do not currently hold contact details for Funmbi Omotayo's agent. If you are a comic or agent wanting your details to appear on Chortle, click here.